I spoke with several mothers leaving the building with their children and learned the sad truth. They were not being asked questions about their child’s medical history or whether the children had experienced health problems after previous vaccinations. No information was given about vaccine side effects or how to monitor their children for signs of vaccine reactions. 2 They were not made aware of exemptions to vaccination. The children were being injected with not just the two new vaccines added to the state’s school requirement list - hepatitis B and chickenpox - but also with other required vaccines if the public school system could find no record. One mother told me her children were up-to-date on their shots but the school system lost the records. She agreed to have her children receive the required vaccines all over again on the spot to avoid being fined or, worse, being sent to jail. In January 2019, the World Health Organization announced that “vaccine hesitant” people, especially parents, are one of the top 10 threats to global health. 57 This ominous warning was quickly followed by the declaration of a state of emergency in Washington after a handful of measles cases were confirmed in primarily unvaccinated children. 58 Immediately, the media shifted into overdrive just like in January 2015 when measles cases were reported in Disneyland and the California legislature quickly removed the personal belief vaccine exemption for school children, 59 60 61 despite the biggest public protests the state Capitol had seen since the Viet Nam War. 3 National Archives. America’s Founding Documents: Declaration of Independence, Constitution, Bill of Rights. 10 Fisher BL. WHO, Pharma, Gates & Government: Who’s Calling the Shots? NVIC Newsletter Jan. 27, 2019. 16 Vera-Lastra, Medina G et al. Autoimmune/inflammatory syndrome induced by adjuvants (Shoenfeld’s syndrome): clinical and immunological spectrum. Expert Review Clinical Immunology 2013; 9(4): 361-373. 25 CDC. Data and Statistics on Children’s Mental Health. Dec. 20, 2018. 31 Donnelly G. Here’s Why Life Expectancy Dropped Again in the U.S. This Year. Fortune Magazine Feb. 9, 2018. 40 National Vaccine Information Center. National Vaccine Information Center Cites “Betrayal” of Consumers by U.S. Supreme Court Giving Total Liability Shield to Big Pharma. Business Wire Feb. 23, 2011. 49 Fisher BL. 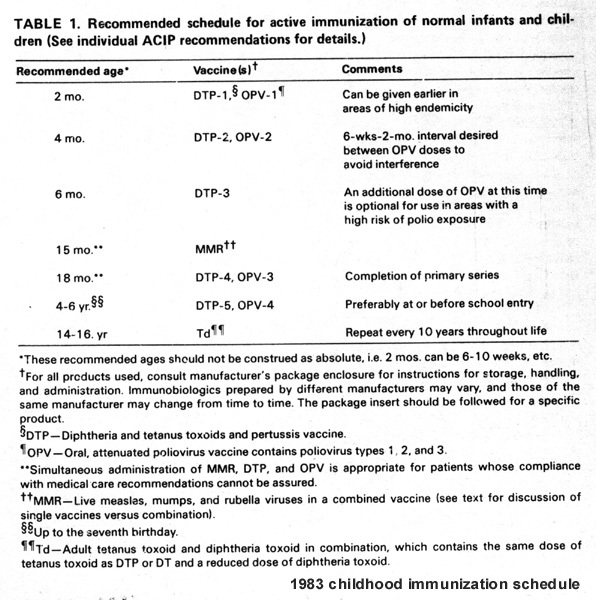 What’s Old Is New: Vaccine Safety Concerns of Parents in 1996 (presented to Institute of Medicine). NVIC Newsletter May 22, 2018. 65 Solis J. ‘Vaccine hesitancy’ hindering Nevada’s response to outbreaks. Nevada Current Feb. 20, 2019. 81 Fisher BL. Dr. Fauci, It’s Not Nice to Fool Congress About Vaccine Reactions. The Vaccine Reaction Feb. 28, 2019. 82 O’Reilly ED. Measles outbreak is bringing vaccine exemptions into spotlight. Axios Feb. 14, 2019. 84 Parmet W. Gottlieb’s threat of federal vaccine mandates: questionable legality, poor policy. Stat News Feb. 28, 2019. 88 O’Donovan C. You Can No Longer Stream Anti-Vax Documentaries on Amazon Prime. Buzz Feed Mar. 1, 2019. 95 Parpia R. Legislator Joins Big Pharma Via “Revolving Door.” The Vaccine Reaction Feb. 21, 2016. This latest talk about a measles outbreak in NYC and making it mandatory to be vaccinated is utterly ridiculous. I am old enough to remember the measles being a regular childhood disease that every child got. Just like the chicken pox. It was just something a child went through. It was expected. I had the German measles as a child. It was no big deal. We all survived. I have never had a flu shot. I also refuse the tetanus vaccine. I believe that it is better to have the disease than to be vaccinated against it. This way the body will be naturally immune to the disease. I also believe we ought to have a say about what we do to our own bodies. If I get the flu, which I only had once in my life, that's my business. If a person works, they can stay home until it is safe to go back. That's why there are sick days. I haven't even had the common cold in years. I have seen so many people get sick after they have had the flu shot. In my area I see so many signs at pharmacies advertising that they give flu shots. Instead they should be advertising that they have literature about why people should not have the flu vaccine. It is natural to have childhood diseases and it is natural to have the flu. It makes me highly upset when I hear that it is mandatory for adults and/or children to get vaccinated and we don't have a right to say no. It is one thing if someone wants a vaccine and it's another thing to be told by your own government that you have to be vaccinated. That is what I call tyranny and that is not what this country is supposed to be about. How many children are harmed by the MMR vaccine compared to Measles!! 1 in 10, 000 die from Measles, but what about the vaccine? ?